Inova (formerly known as Ivanhoe Australia) is a subsidiary of Turquoise Hills Resources. The company was formed in 2008 and is a copper concentrate producer located in North-West Queensland, with operations in the highly-mineralised Cloncurry district near Mount Isa. Inova Resources is an Australian listed mineral exploration, development and mining company which operates in the rich North West Queensland mineral province. Originally created as the Australian exploration arm of Canadian company Ivanhoe Mines (now Turquoise Hill Resources), Inova Resources (then Ivanhoe Australia) was the biggest exploration company in Australia. These extraordinary beginnings have given Inova a growth platform from which to expand, based primarily on its significant holdings in the Mt Isa region of North West Queensland. With a number of tenements across the Cloncurry district, Inova Resources has multiple key projects, including the Osborne Copper-Gold Project. The Osborne project commenced production ahead of schedule in February 2012, having been in care and maintenance for a substantial period, and has an initial four-year mine life to 2015. A number of additional prospects across Inova’s tenements have been identified as potential ore sources to extend the current mine life. As with many small mining operations, the challenge for Inova’s Osborne project was to secure a reliable export supply chain for its product. As a small user in a saturated market, Inova forecasted possible difficulties in gaining traction with their previous service providers and re-securing a contract with Queensland Rail, which was commonly used by larger producers. Starting out as a smaller volume producer meant that Inova required a flexible system, as well as the capacity to accommodate future higher production levels. The operational model required smaller export parcel sizes and minimal stockpiling of concentrate. Inova was also looking for a cost-effective approach to manage their services without having to invest heavily in capital infrastructure. The business required an integrated supply chain management solution to support their mining operations in the most efficient and cost-effective manner possible. 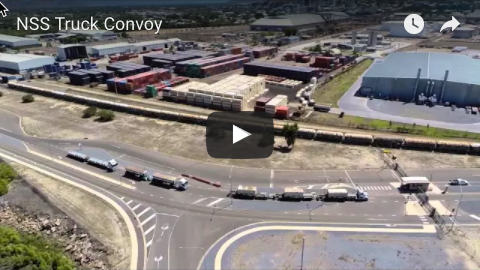 Inova engaged NSS’s end-to-end pit-to-port services in February 2012, streamlining processes by adopting an integrated solution which includes road haulage, port storage and stevedoring. This solution would utilise the class leading Rotabox™ technology which would allow for the tippling of the bulk concentrate in an efficient and environmentally friendly manner. 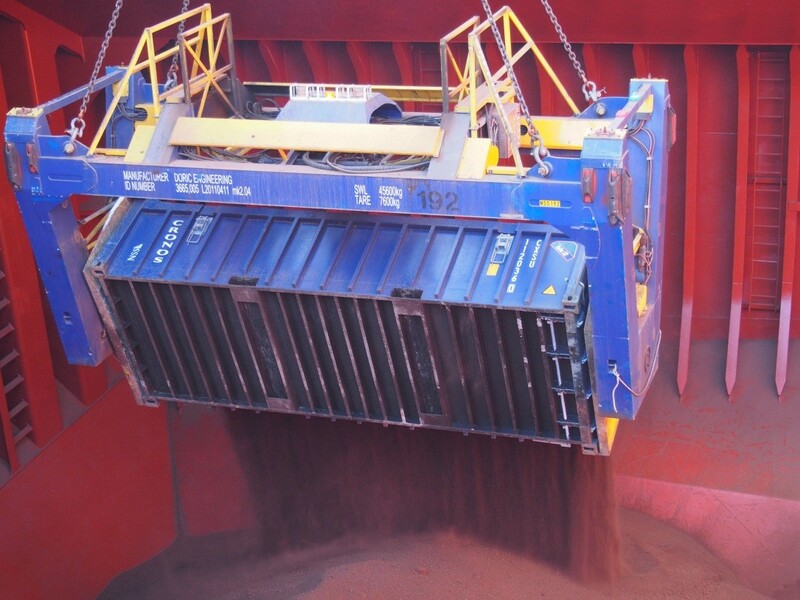 “We saw NSS as a one-stop shop for concentrate movement as they could integrate all three services from end-to-end, using their connections to take delivery of our concentrate from the mine until it was put into the hold of the ship,” Valk said. Various factors were scrutinised before the strategic solutions to improve Inova’s logistics system efficiency were engineered. NSS demonstrated extensive experience in the field, ensuring that the new logistics chain would reduce downtime and wastage, while increasing productivity and time efficiency. 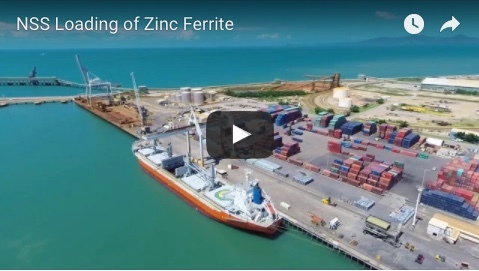 As part of the contract, Inova was also given access to the berth run by NSS at the Port of Townsville, along with its facilities and infrastructure including storage areas. “Due to the scale of work, we required a service provider which could offer an end-to-end solution from the mine site into the hold of the ship,” Valk said. 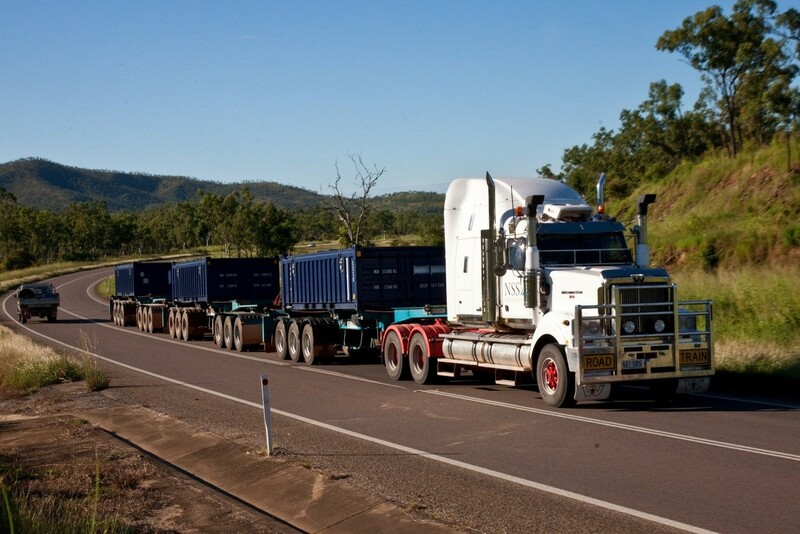 “The current service NSS provides includes the loading of half-height containers with copper concentrate at the Osborne mine site, followed by the transportation to Townsville and storage of the full containers. 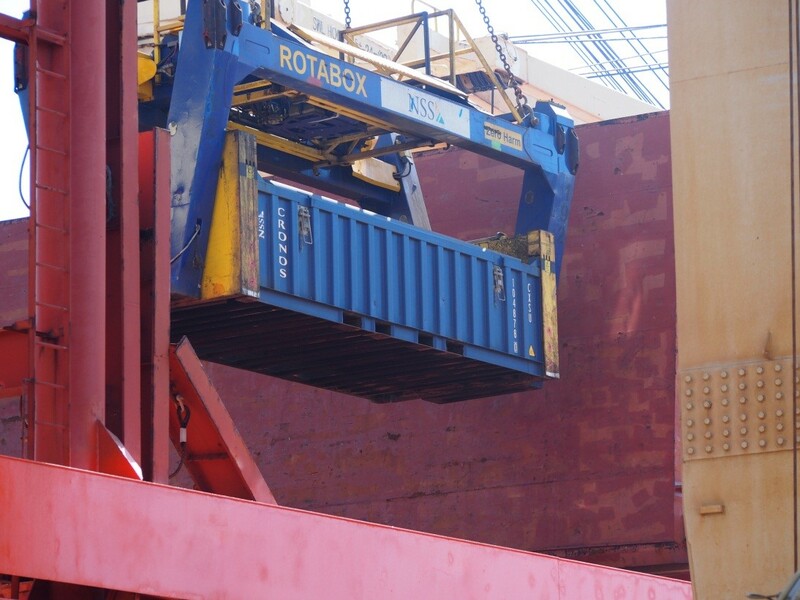 When our ship is scheduled NSS transports the containers to the ship and loads the ship using the Rotabox™. “Other selection criteria included sufficient resources to be flexible with our production profile – we were a new start-up, with the usual early stumbles as we built up production levels. For example, tonnages doubled within the first year to 100,000 tonnes, which is why we required a solution which was scalable and flexible. Also by minimising the need to maintain concentrate stockpiles at multiple locations, the NSS service offering reduced the amount of capital required and proved to be more cost-effective for the business. The Rotabox™ container tipping system was also a strong influence on Inova’s decision to go with the NSS solution – the company’s internal stakeholders were particular impressed with the loading system, from both an environmental and handling perspective. Since working with Inova, NSS has restructured the company’s logistics process, increasing productivity levels, reducing stockpiles and delivering an effective integrated supply chain solution. By implementing these tailored solutions, Inova now benefits from NSS’ transport network, enabling them to transport tonnages more efficiently.